The following webpage outlines MangaHere's collection and use of personal information from it's users. 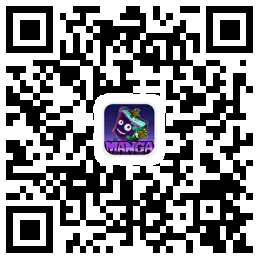 mangafox.com values the privacy of our members and users, we will never share any personal information of anybody who logs on to MangaHere with anyone. This includes your e-mail address, name, and location. Upon logging on to MangaFox such things as your IP address and hostname are logged for statistical and security reasons. A cookie is a very small text file placed on your system upon logging on to MangaHere (and most other websites). This file serves as your identification card and is uniquely yours, and can only be read by the server that gave it to you. Cookies tell us that you have returned to a specific web page on MangaHere and help us track your preferences and transactional habits. The basic function of cookies is to help our server remember who you are. Not withstanding the foregoing, MangaHere may choose to retain some personal information such as the child's e-mail address as a means to prevent the child from re-registering at our website. The Children's Online Privacy Protection Act (COPPA) went into effect in April 2000, and as a result websites all over the world wide web had to change their standards to not collect any information from a child. MangaHere may store and disclose personal information allowed or required by applicable law or when deemed advisable by us. This means that we may make disclosures that are necessary to conform to legal and regulatory requirements or processes and to protect the rights, safety, and property of MangaHere, users of the MangaFox website, and the public. At MangaHere we make reasonable efforts to protect personal information such as passwords and use technology such as encryption, access control procedures, firewalls, and physical security. We urge you to use a unique password with both letters and numbers to protect your account on MangaHere and it's affiliated websites. If others, including family, friends or other household members access and use the message board through your login credentials, you are responsible for the actions of that individual. Only in extreme cases will your account be fully terminated. Third Party websites may collect information from users of MangaHere, this information will include your IP address, hostname, and information about your system to help us serve you better. These are purely used for statistical reasons, and will not be used in any way other then that. If you would like more information about this practice and to know your choices about not having this information used by these companies, http://www.networkadvertising.org/managing/opt_out.asp. MangaHere reserves the right to change this, and any other policy located on our website at anytime without notifying our users. If you have any comments, questions, or concerns regarding this policy, or any other policy you may send them to us at policy at mangahere.cc. Copyrights and trademarks for the manga, and other promotional materials are held by their respective owners and their use is allowed under the fair use clause of the Copyright Law. © 2018 MangaHere. Current Time is GMT 13:11 下午.